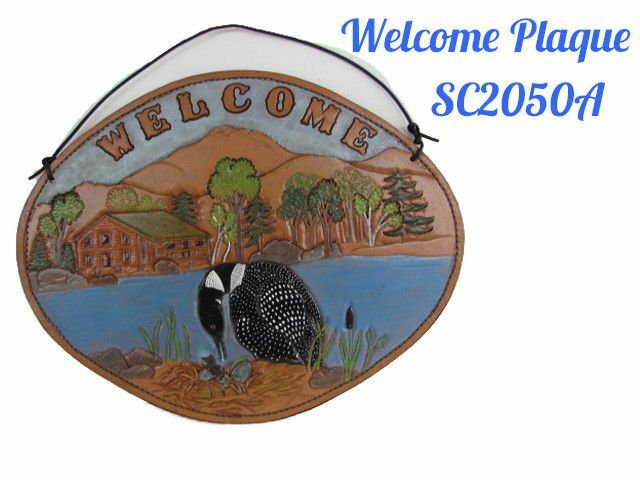 One of a kind hand tooled and painted leather Loon welcome plaque. 11″ w x 8.5h. 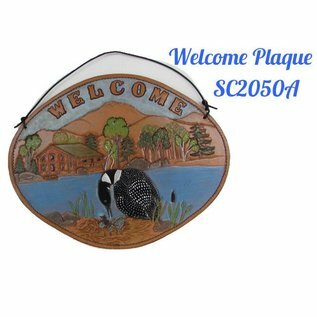 What better way to welcome guests into your home!